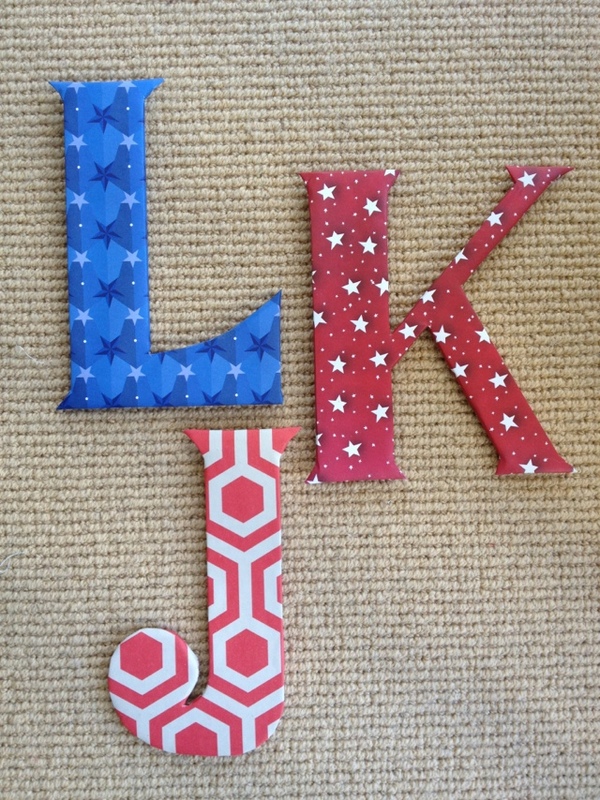 Remember these wall initials I made for my kids? I put one up in the nursery already, using 3M Command Picture Hanging Strips . 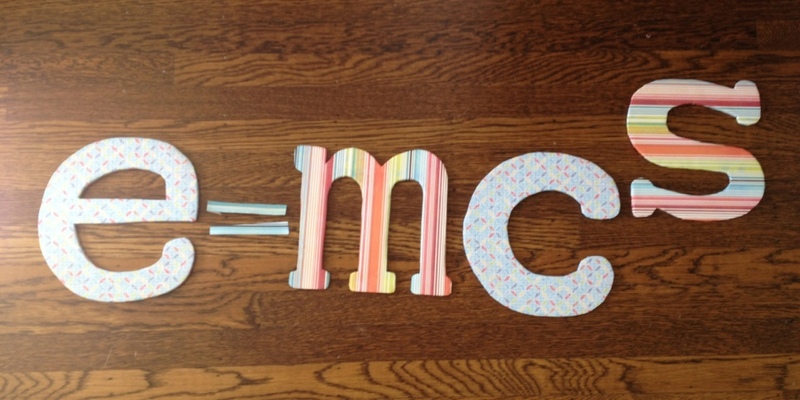 Besides hanging them on a wall, you could make these letters part of an artful arrangement on a shelf or stick them to the door. I made mine as big as a 12×12 inch sheet of scrapbook paper would allow, but I would love to make a really large one some time with wrapping paper or fabric. 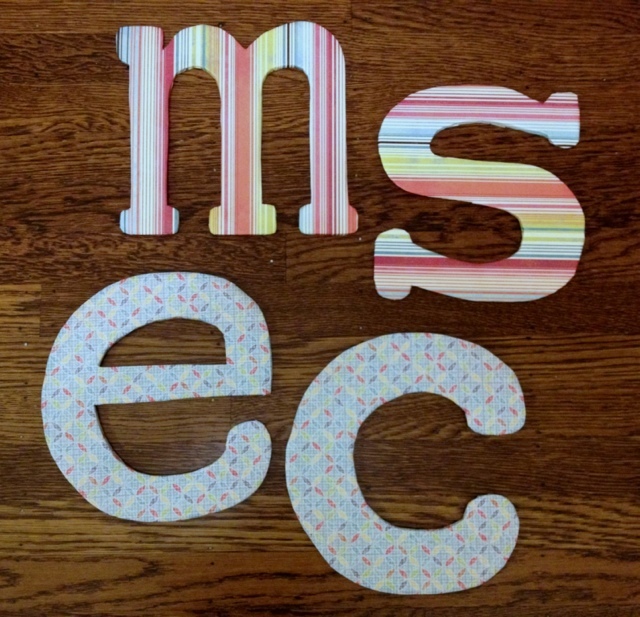 These oversize letters were also the May Giveaway, and Jenny won them for her two girls. 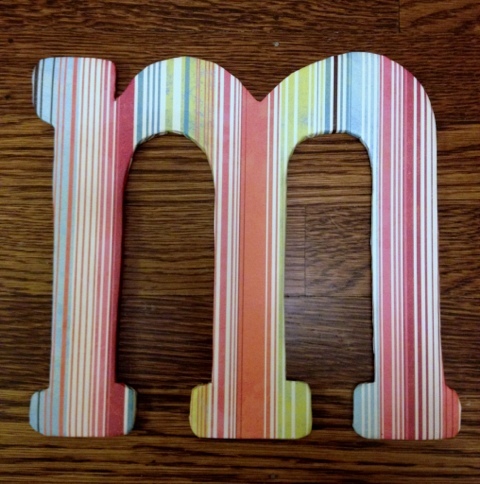 While I was working on Jenny’s letters, I made two more for my twin nieces, who are turning one next month! It’s often easier to do several of any project at once, while you have the motivation and all the supplies out. You definitely learn a lot as you repeat projects, too. Don’t you wish you could always start with the second one, after all the mistakes have been made? 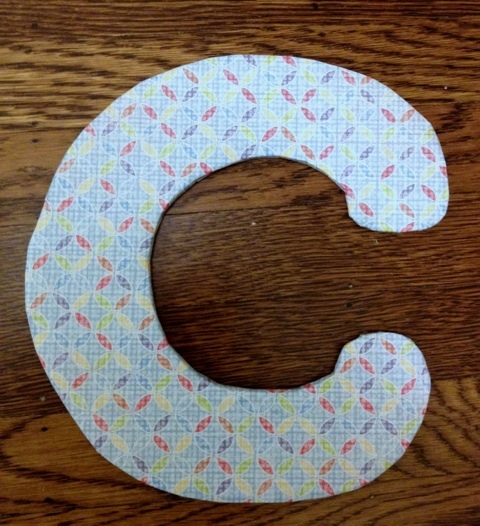 I already posted the instructions for making these letters, so I’ll jump straight to the final result! With this combination of letters, I just couldn’t resist!! As you can see, I used lower case letters this time and a different font: American Typewriter Bold. And I’ll add one tip if you have to wrap around a small opening. 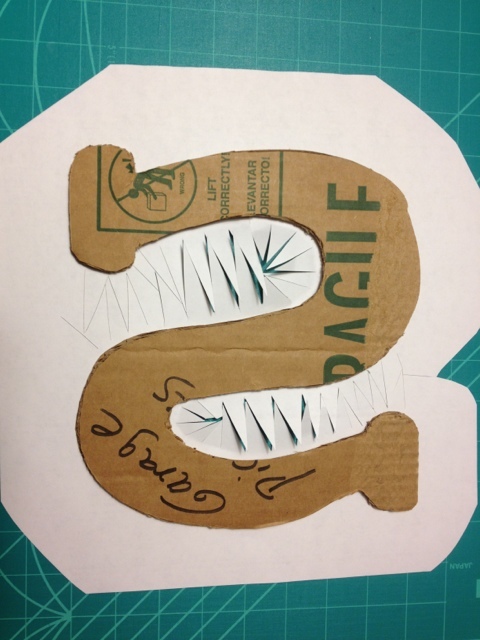 I cut the tabs in a zig-zag pattern, so that they don’t get too short. Beside the fact that I nearly glued all my fingers to each other in the process, it was so fun for me to make something for little girls, since we have a house full of (wonderful!) boys. I’m also really glad to give Jenny’s girls a piece of home that they can take as they move overseas and just as thrilled to have something unique to celebrate the big one year birthday with my nieces! Looking forward to another fun giveaway starting next month!